Home » News » Oktoberfest in North Cyprus - the doors of the festival are open to everyone. 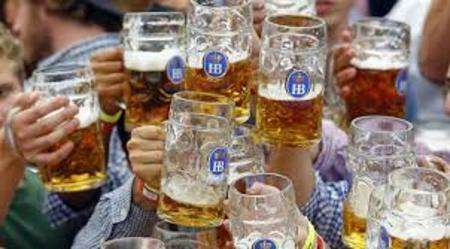 For foreign residents in the TRNC, an annual Oktoberfest will be held in the restaurant of Achmenia in Alsancak on Sunday, October 7. The doors of the October festival will be open to everyone! The event will start on October 7 at 6:30 pm, featuring professional Bavarian musician Oktoberfest, who will come from Germany to entertain the guests. Guests and participants will be offered a genuine Bavarian dinner consisting of 1/2 chicken, a Bavarian potato salad, and a choice of different salads and bread. Those who wants the vegetarian option, they can call a restaurant. Of course, Oktoberfest can not pass without a real Bavarian beer. Different varieties of bear will be available at the Oktoberfest, and, of course, regular beer, wine and spirits will also be on sale. The cost of this event is 100TL for members of the resident community and 110TL for non-members.